Today's idea is a Decorative Edge Cut Away Sentiment Space. These "Chicks are racing toward Easter Fast! OK, easy peasy and such a fun look. Decide on the size of your card, mine is 6x5 inches. I used a hot pink textured card stock for the base card. Cut a piece of designer paper to fit the front of your card. leaving space at the bottom for a sentiment . decorative paper and adhere it to the bottom edge of the card. Now you have the space to add your sentiment. Simple Stories, Snap Color Vibe 6x6 paper pad. The Rickrack punch is EK Success. 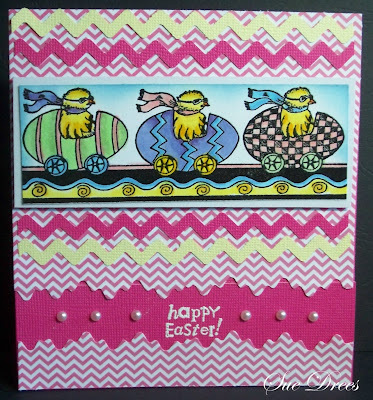 Kaiser pearls and a Happy Easter Stamp from Hero finishes it off. This technique works well on the inside of a card too. Hope you get a chance to try this little trick. this is super cute and lovely card Sue. Another wonderful Easter card Sue, gave me quite a giggle. Love those racing chicks, too cute! 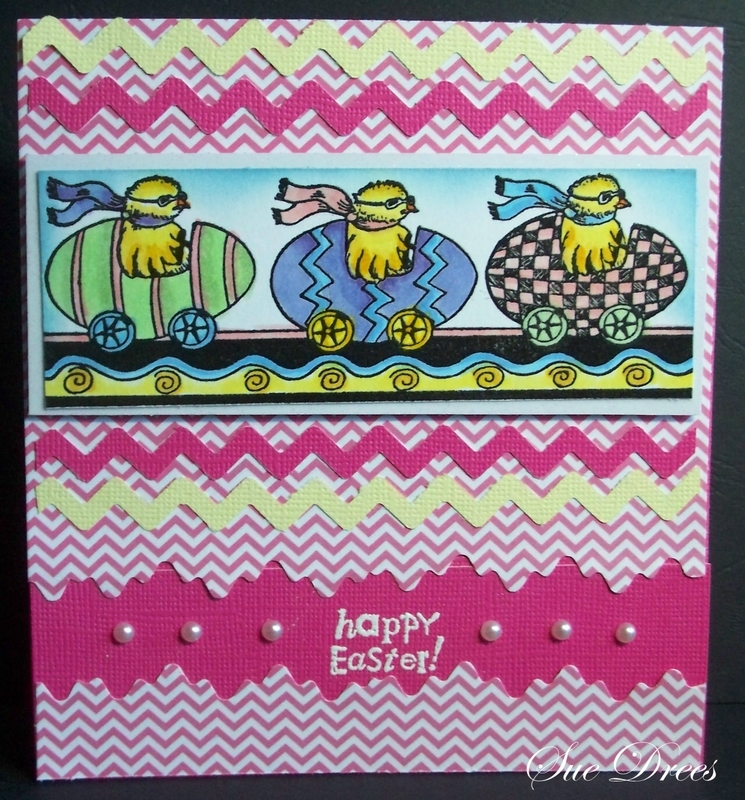 Such for a cute little card-the chicken reminds me of the Red Baron LOL!